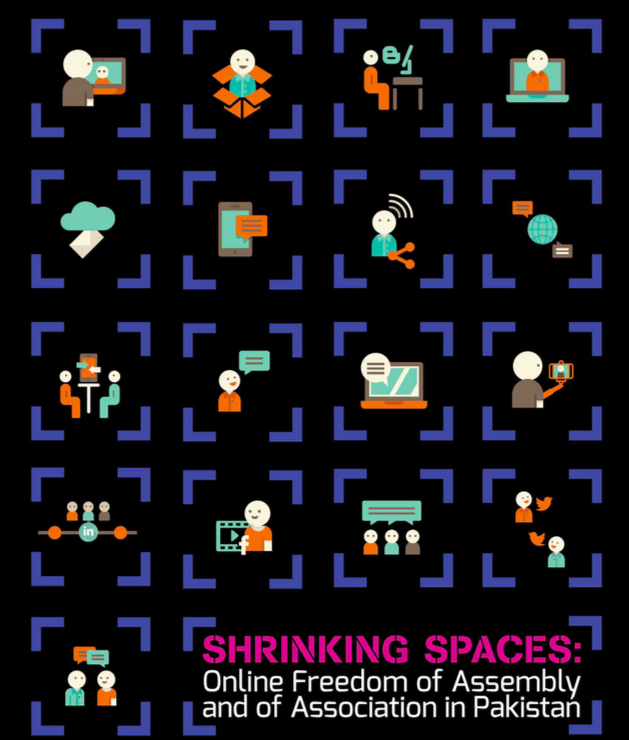 FORUM-ASIA’s member Bytes for all, Pakistan published a report and publication ‘Shrinking Spaces: Arbitrary measures by authorities impact rights to assembly and association online’ with a joint output of Association for Progressive Communications. It aims at documenting baseline information about the fundamental rights to association and assembly in online spaces by studying various cases over the years. The report underscores that frequent network shutdowns, blocking of websites, filtering of online content and social media, misuse of mobile applications, bullying on social media platforms, and discrepancies in legal framework as main factors impacting the exercise of these rights. The research lists down the details of 22 mobile network shutdowns between January 2014 and September 2016, suggesting an increase in the trend of network shutdowns in the name of security measures. Similarly, there have been instances in Pakistan where social networking applications have led to killing of members of sexual minorities. One of the case studies also highlights the story of a woman journalist who was cyber bullied into deleting her online presence, because she strongly protested against the assassination of Sabeen Mehmud, a Karachi based woman activist. Another case also highlights the significance of Facebook and Twitter platforms for forming public opinion and mobilizing support for peaceful protests in physical spaces. The report also analyses that the legal framework governing the set of rights is unaligned with constitutional rights and international human rights law. This provides the basis for discriminatory treatment of marginalised communities in the country. The research calls on the government to provide conducive environment for all its citizens regardless of their religion, race, ethnicity and gender for the exercise of their rights of association and of assembly in online and offline spaces. It also suggests the government to align its domestic legal framework with international human rights law and comply with its international commitments. It recommends for extending telecommunication infrastructure to far-flung areas of the country so the unserved and under-served communities may also reap the fruits of Internet working technologies for their socio-economic well being. It also stresses for the need of building digital literacy and security of netizens so that they can use online spaces safely.